There are unlimited options when it comes to website, desktop and mobile design. Interactive Lion employs multiple graphic artists that will bring your vision to life. Our portfolio highlights some of the diverse work we have done in the past. Check back often as this page is frequently updated. New Millennium Media Group is a full service marketing and research company with over 20 years of experience in generating Online and Offline responders. NM Media Group is composed of a dynamic group of seasoned professionals in several diverse fields. Their Director of Operations has over 10-years experience managing marketing for several national name-brand products as well as managing the operations of several financial services start-ups (including an employee leasing company). Signature Memories offers a professional team of designers, caterers, and planners to turn your wishes and dreams into the most memorable of occasions. Our location allows parties of all sizes to work within their budget to host and share any of life’s events. We are conveniently located in Broward County East Fort Lauderdale, near the elite Las Olas Boulevard and the entertainment and culture venues of Greater Fort Lauderdale. The Protection Group's goal is to provide valuable benefits and privileges presented in an innovative comprehensive group membership solution at an affordable cost. The Protection Group has strong strategic alliances with providers committed to supplying quality services to help you manage life’s unexpected. Seven was developed to offer peace of mind specifically focused on protection for these every day needs. Our knowledgeable Staff and Group Representatives are dedicated to courteous, ethical, and professional customer service. bluTonic is a diverse group of dedicated and talented individuals who value integrity and good business ethics. We are supportive and readily available to assist our clients at all hours. The vision of this organization is to continuously innovate and improve the field of internet advertising by focusing on research and development of tools used to optimize consumer targeting. Penny Lovers really can make you a lot of money with penny stocks… if you know what you’re doing! No other area of the market offers so much potential, yet comes with so much confusion and nonsense as penny stocks. The fact of the matter is, small-cap stocks have outperformed just about every other asset class over the last 85 years or so. And that includes gold, silver, real estate and blue-chip stocks. Political SMS is a premier provider of permission-based marketing solutions designed for the Political Community. From its inception, the firm has positioned itself as a dynamic Interactive marketing firm. Our Objective is to provide the expertise, knowledge and support required to provide consistent Superior results for every client. Lead Capsule is the premiere software solution for lead management, lead generation, lead distribution, customer relationship management, affiliate marketing and lead commerce. Buying and selling leads can be difficult to manage; this is especially true when working with multiple verticals. The Lead Capsule LMS simplifies the management of vendors, clients, and delivers leads quickly and accurately to any CRM. Vumee VuMee has over 100 Celebrities and Brands with a cumulative fanbase of over 150 Million and is growing daily. VuMee allows fans to receive emails and SMS alerts from Celebrities notifying them of new videos. Fans can view, tweet, post & share these videos to friends & family. VuMee enables Celebrities, Brands and Fans to be in control of their own videos on their own VuMee channel. 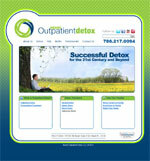 Miami Outpatient Detox specializes in personalized treatment for the detoxification of opiates, alcohol and benzodiazepines. They make it our top priority to keep the experience confidential, safe and comfortable for each and every patient. Their unique recovery-based program helps patients find a lasting, supportive, recovery based community to address the mental and spiritual trauma caused by addiction greatly reducing the possibility of relapse upon completion of the treatment. 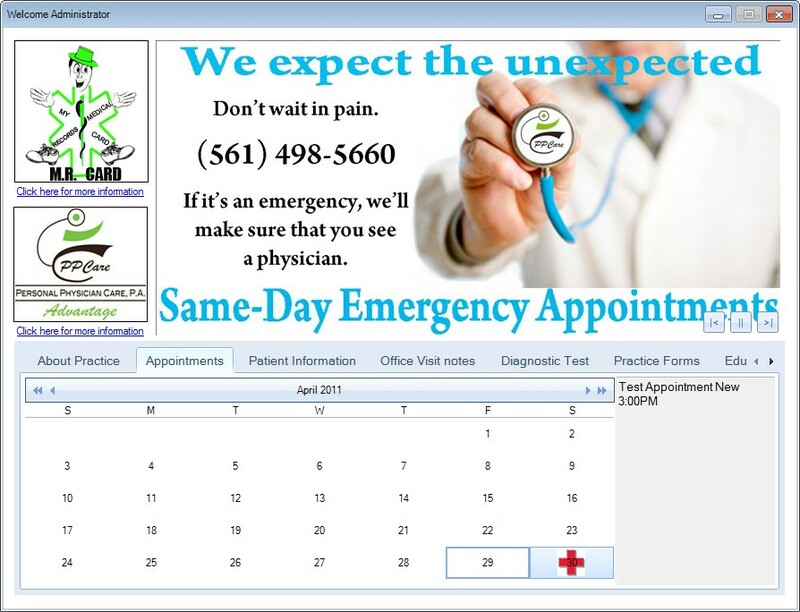 Mr Card is a desktop application provided to patients of Personal Physcian Care. The application allows patients and/or medical facilities access to the patient's medical records. Records include doctor's notes, x-rays and upcoming appointments. All of the patient files are encypted using AES encryption algorithims. This application is stored on a Credit Card style USB drive and provided and/or updated for the patient after each visit. 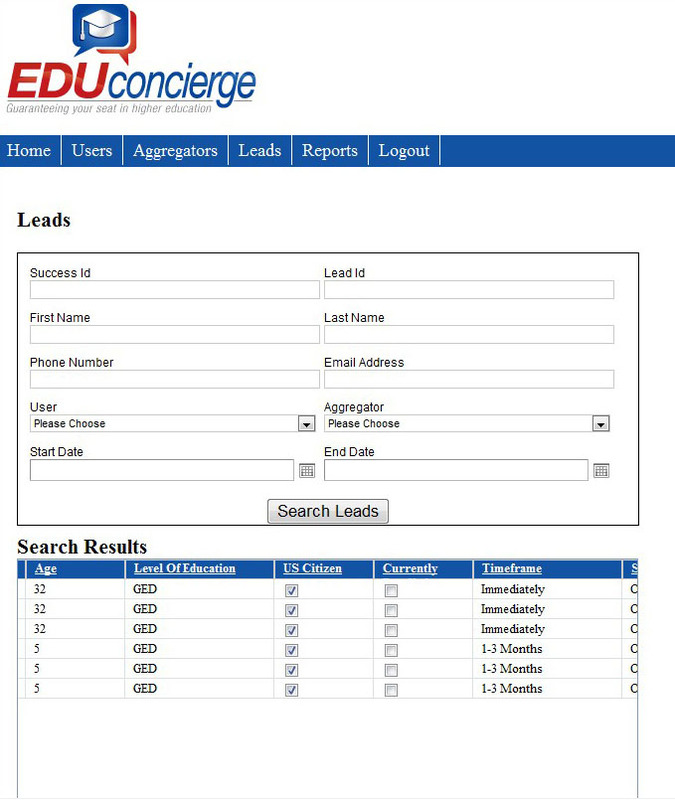 EDU Concierge is a custom call center application that serves as a lead management platform for the education vertical. 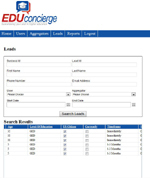 The application integrates with the onsite dialer system and enables call center agents to qualify and match students to schools that they qualify for. Additional features include script editing, advanced user management and robust reporting. 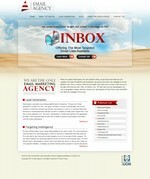 Email Agency is an online marketing and advertising company specializing in lead generation campaigns. They house a secure database of over 190 million opt-in records that are sourced through on-line surveys, e-registrations, e-subscriptions along with our extensive network of permission-based data aggression websites.